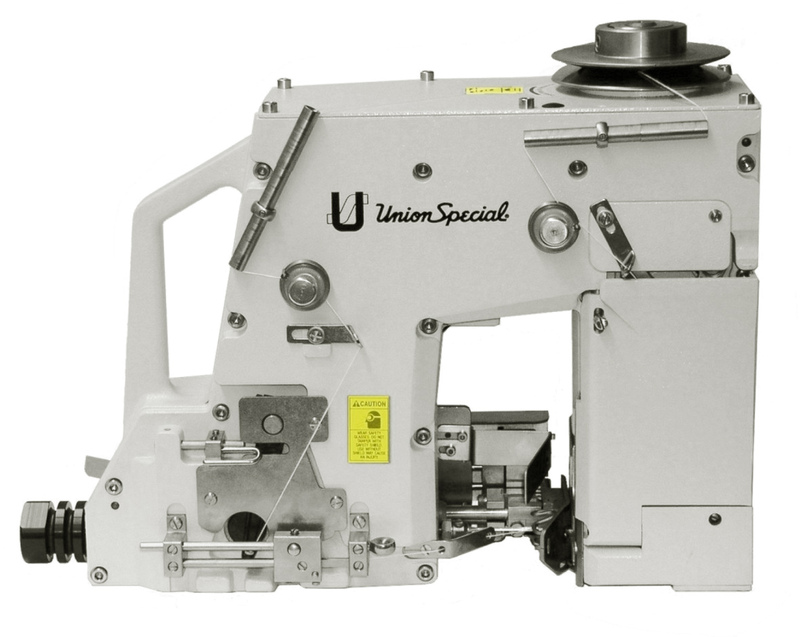 High production – a linear sewing speed up to 114 ft./min. BC111P12-1 Same as BC111P11, except start and stop by feeler controlled proximity switch. -1A for 220V, -1B for 110V, -1M for 24V DC. BC111P01-1 Features built-in, continuous-running thread chain cutting knives. Thread chain pusher kit is optional. As our standard bag closers do not include any electric components, they can be installed in ex-proof locations. Tape folder: adjustable for 50-70 mm wide crepe tape. BC111T12-1M Same as BC111T-11; except start and stop by feeler controlled proximity switch. With 50-70mm adjustable width tape folder.